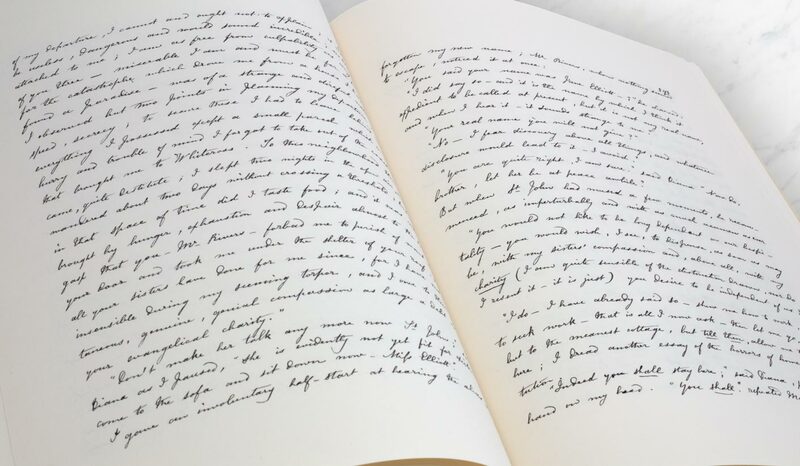 These 824 pages of Charlotte Brontë’s elegant and nimble handwriting are one of the British Library’s most precious treasures. Because of the great technical challenge that the task of reproducing it presents, the manuscript has remained unpublished until today. Charlotte Brontë received a letter from the publisher Smith and Elder in August 1847, rejecting her first novel but adding ‘that a work in three volumes would [be met] with careful attention’. She then sent them this unique manuscript—no earlier drafts are known to survive today. Published in October 1847, the novel was an immediate success. 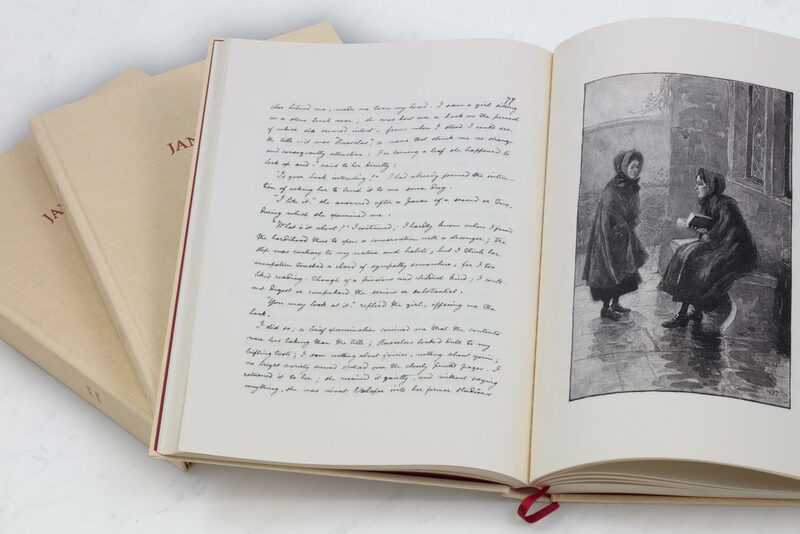 The three volumes of this manuscript, reproduced using only the finest materials, are presented together in a deluxe slipcase. Included: etchings by Edmund Garrett from an 1897 edition of the novel. Each volume is hand assembled, bound and sewn with endband and bookmark. 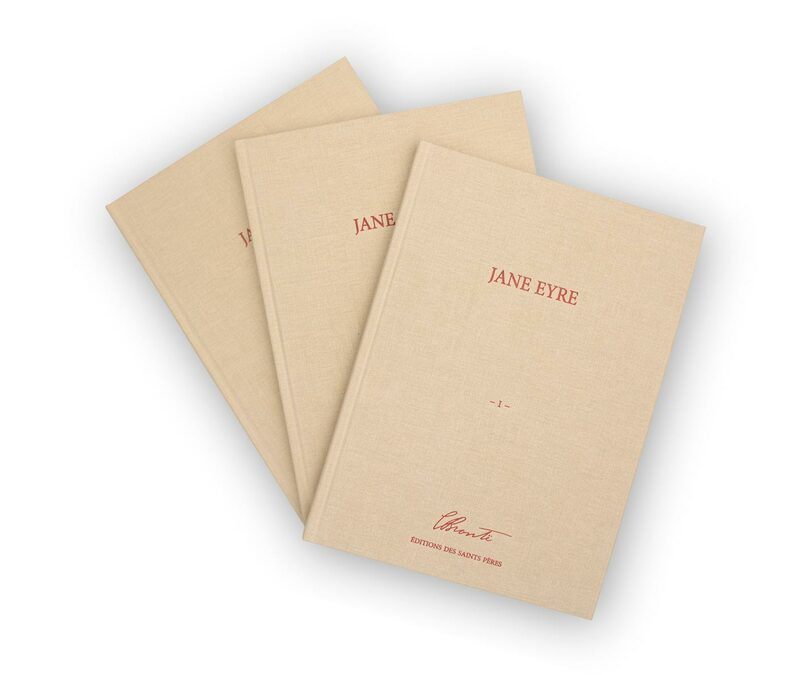 Each book is printed on luxury paper. The slipcase and book cover ornamentations are marked using gilded iron. Our books are printed with vegetal ink, on environmentally-friendly paper. I am so happy to own a copy of this unique manuscript. I live near Haworth so it was even more exciting to be able to buy it from the Haworth Parsonage itself. We came across this title in the Bronte Parsonage gift shop in Howarth to our total surprise and delight and bought a copy there and then. 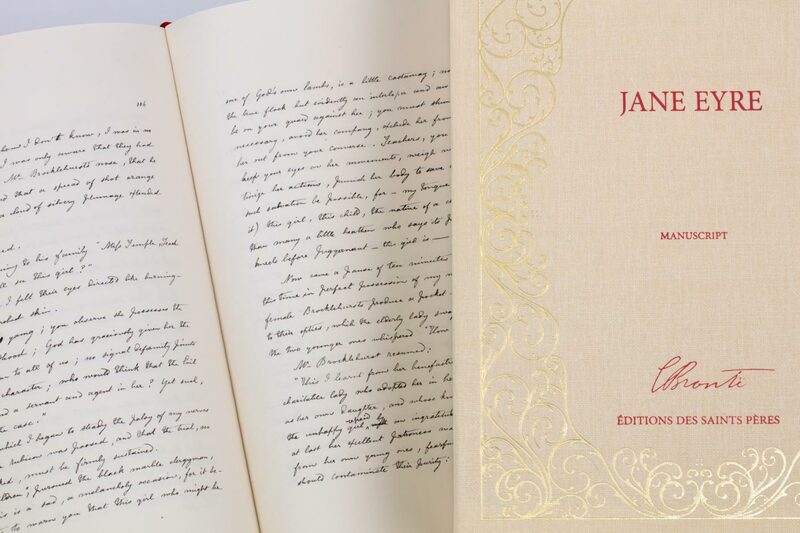 Fabulous quality in this reproduced masterpiece and would recommend this treasure to anyone who has an interest in the works of the Bronte's, or simply a collector of books. Complete with the actual changes to words that were made before sending to publication this truly is a wonderful piece. Heard about this edition on Open Book and immediately proceeded to order my own copy. Quick shipping. Beautiful book, inside and out. The handwritten text is legible and fascinating to read through. A must for all Brontë enthusiasts.